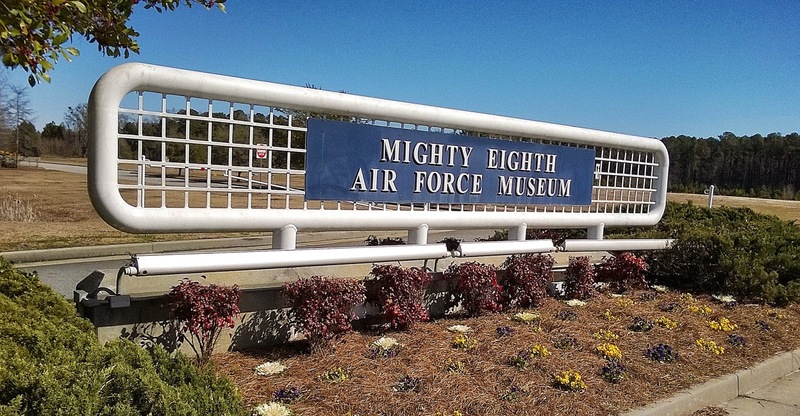 A few weeks ago while visiting Savannah we stopped at the Mighty Eighth Air Force Museum in Pooler, GA [which is just outside of Savannah]. 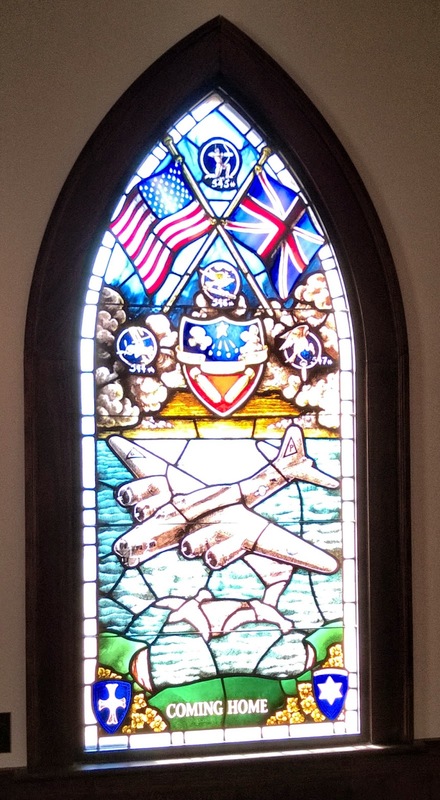 My Grandfather was a part of the 8th Air Force during World War II and I'll have another post highlighting the exhibits from the museum. 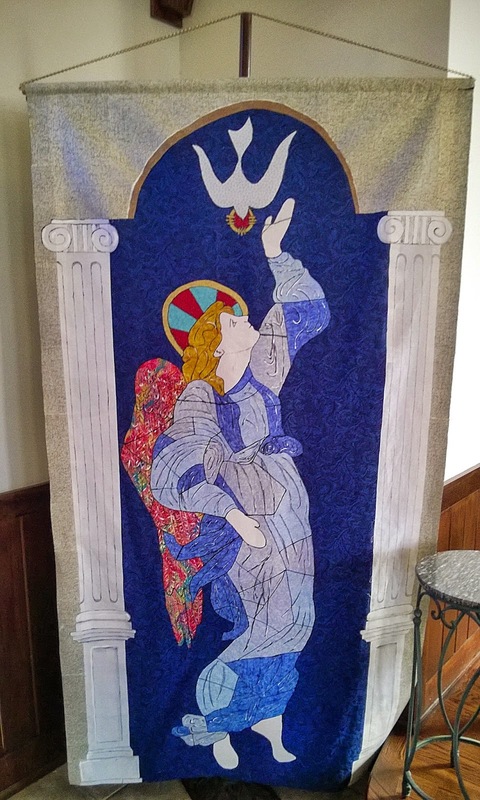 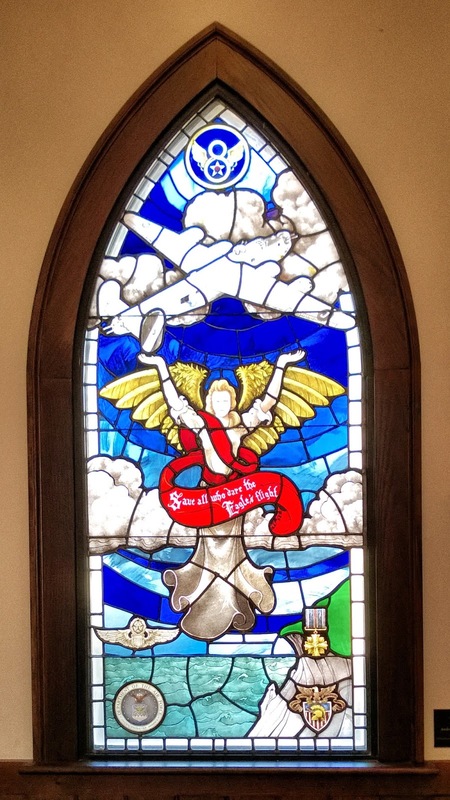 Today I'll highlight one part of the museum which is a chapel on the grounds called the Chapel of the Fallen Angels. 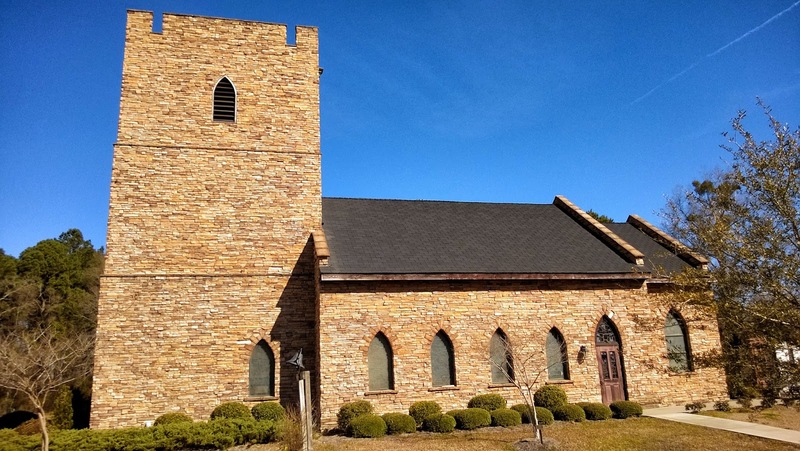 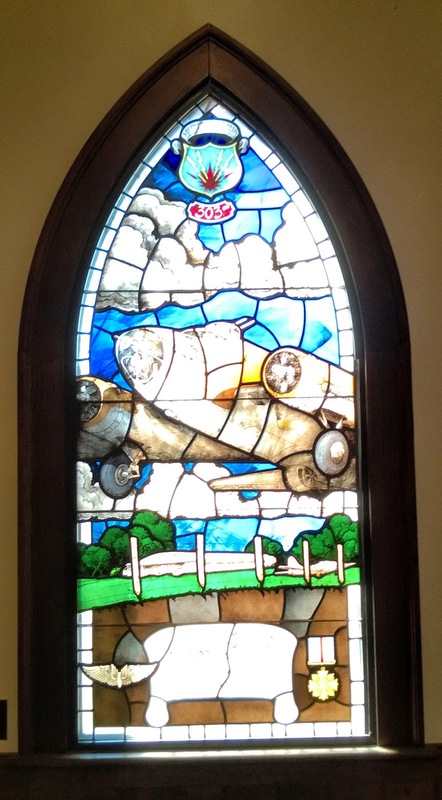 It was built as a replica of a traditional English chapel that allows visitors and veterans a chance to pay their respect at the museum. 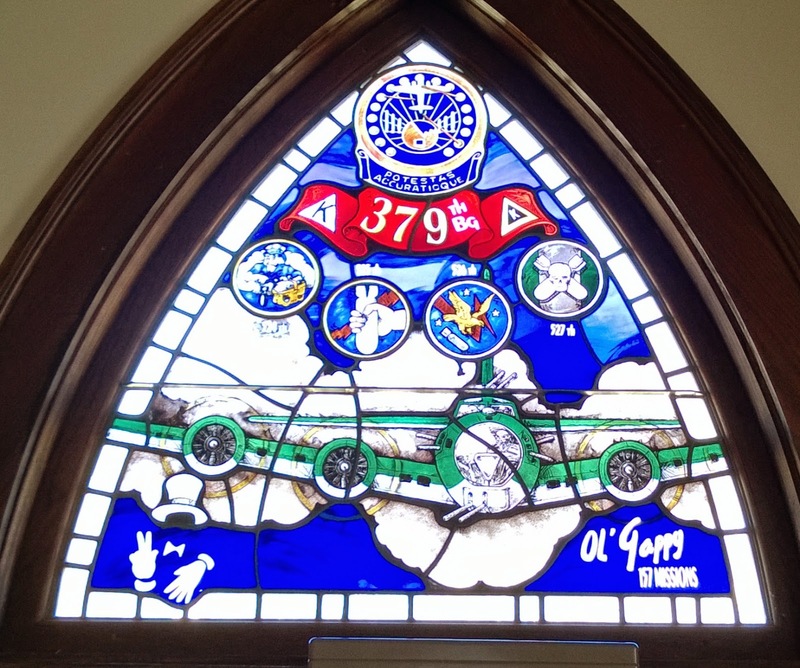 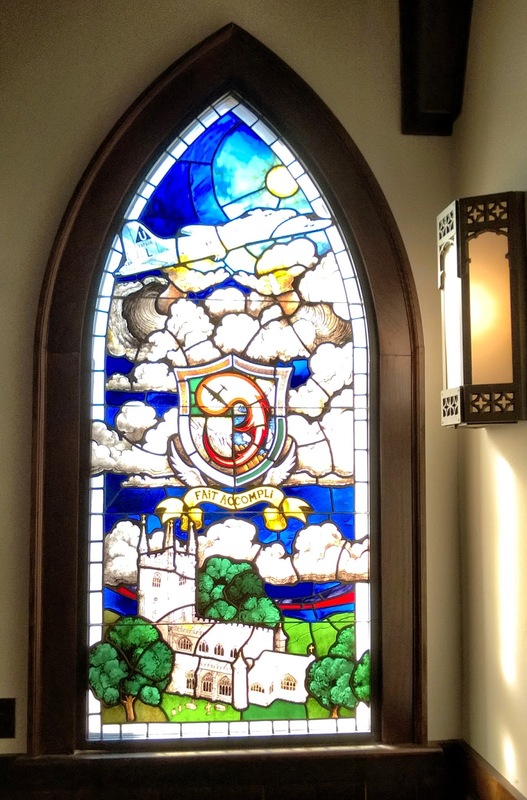 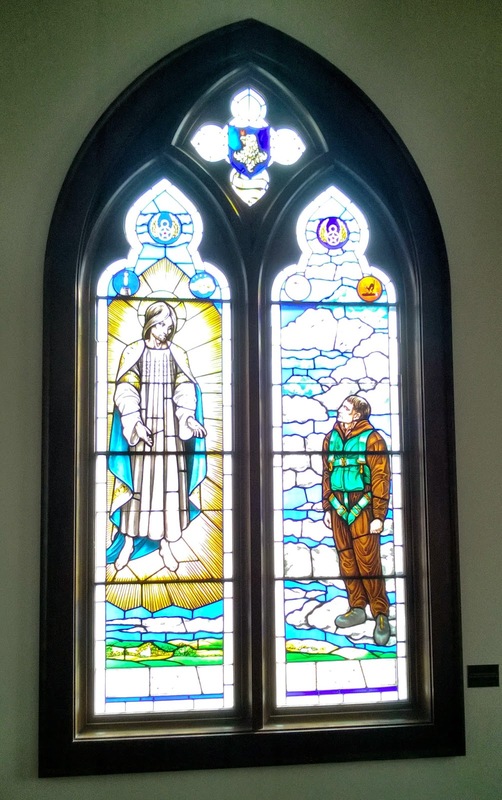 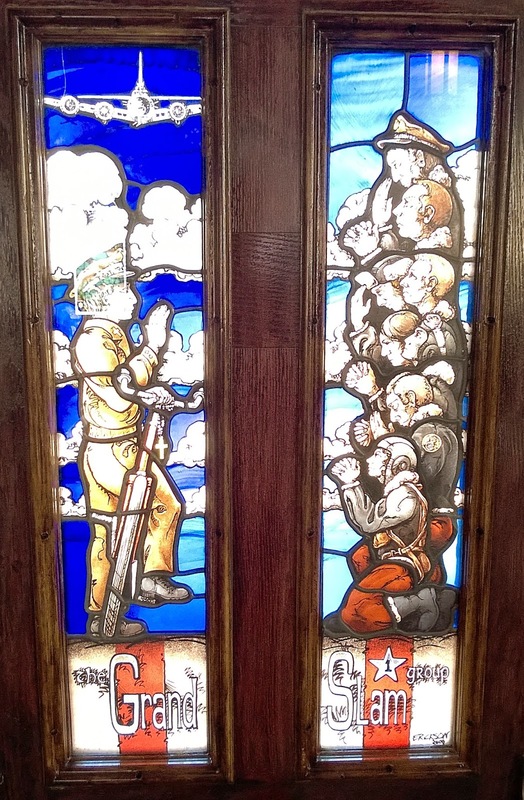 It is a very tranquil place and although you can't tell from the outside view but on the inside all the beautiful stained glass windows are air force related in one way or another. 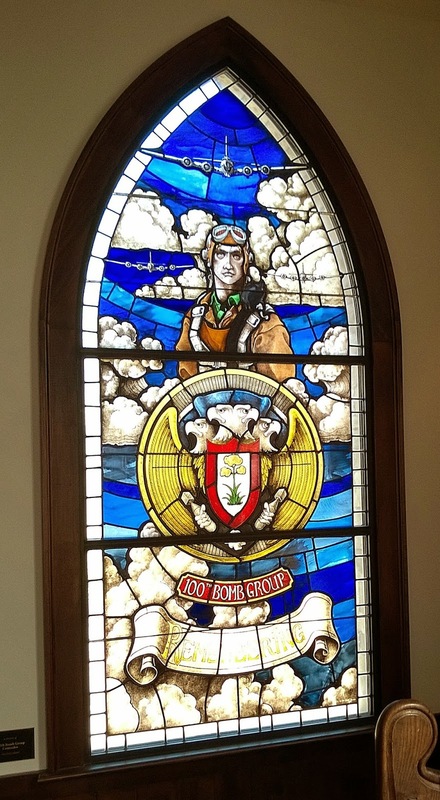 I took photos of all the windows with my favorite being this first one with the pilot staring out at you with the bomber in the background.